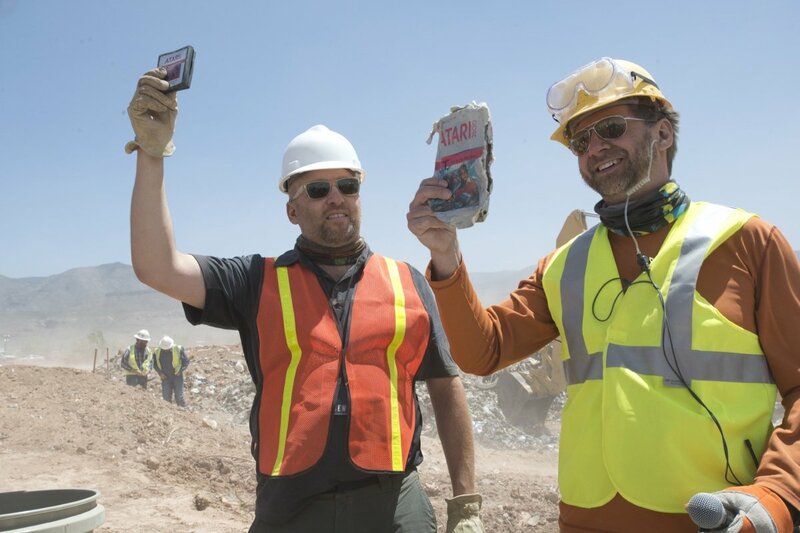 Last Saturday, a film making team and excavators traveled to the Alamogordo Landfill in the New Mexico desert to try and debunk one of gaming’s most legendary of myths; Did Atari really bury copies of the notoriously bad E.T on the Atari 2600? At first only finding an old Atari 2600 and joypad led to them finding a single copy of E.T. 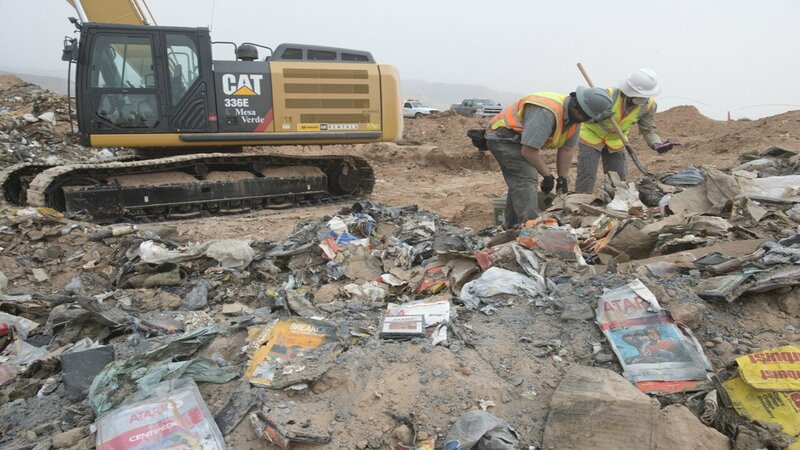 A little while later, multiple boxes of the cartridge were found and it was told that “a lot more” were buried even deeper, with possible confirmation that other Atari 2600 titles such as Centipede and Asteroids were buried as well. The legend is that when Atari published E.T on the 2600, it sold so poorly that Atari nearly went bankrupt. Deciding to get rid of as many copies as possible, they buried a massive amount of copies in a landfill. Fuel Entertainment started to gain interest in the legend and decided to create a documentary about it. 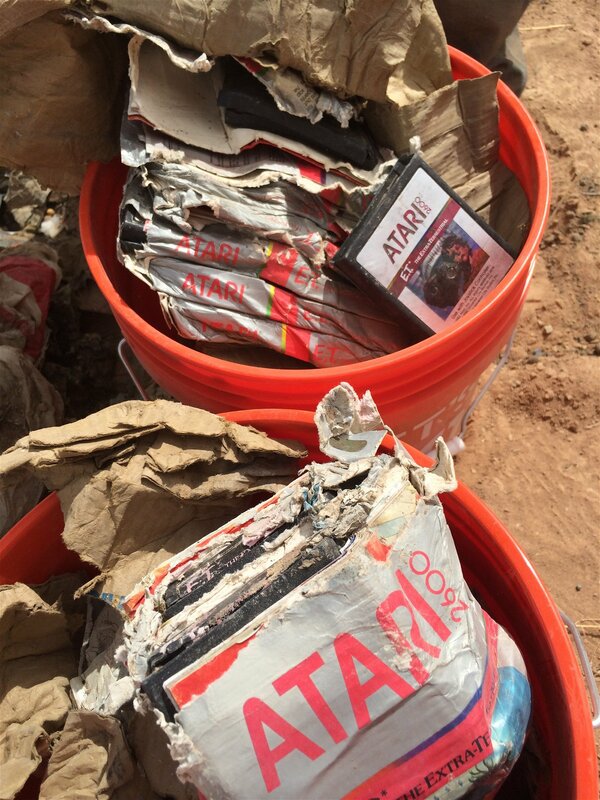 In late 2013, they acquired the exclusive rights to try and dig up the cartridges in the landfill. The documentary called “Atari: Game Over” is directed by writer/director Zak Penn who has previously worked on X-2 and The Avengers and will only air on Xbox One and Xbox 360 later this year.